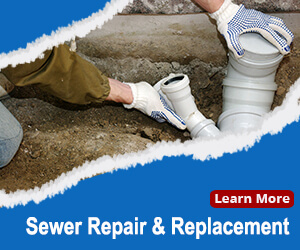 Are you looking for drain cleaning or sewer cleaning? 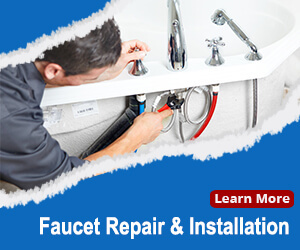 Or do you need leak detection or slab leak repair services in Rancho Bernardo? You can count on Blue Planet Drains and Plumbing for the best in courteous top-quality plumbing. Don’t settle for just any local plumber. 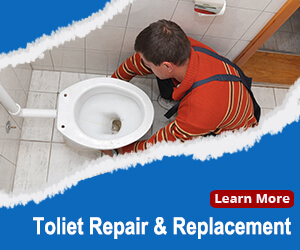 Blue Planet Drains and Plumbing has the best reputation for quality service. Our uniformed plumbers wear shoe covers and clean up afterward, keeping your home or business clean. We always begin with a thorough inspection to properly identify the problem, fully discuss the alternatives (including money-saving options), and provide a complete estimate before we start. Blue Planet is family owned and operated. We’re certified, licensed, and insured and are registered with the Better Business Bureau (BBB) and the Plumbing Heating and Cooling Contractors of San Diego (PHCC). In addition to our 24/7 emergency services we’re a full-service plumbing company, residential and commercial, serving Rancho Bernardo. Beyond the services covered below, our professional plumbers provide: garbage disposal installation, water filtration system installation, fixture upgrades, water heater repair and installation, broken pipe repair, complete building repiping, commercial plumbing maintenance, and more. Our experts are experienced in all sorts of drain clogs, whether from food or grease in a kitchen sink, hair and soap scum in a shower or tub, or obstructions in a toilet. That drain cleaning experience includes restaurants and commercial kitchens where FOG (food, oils, and grease) are frequent problems. Our plumbers start with a in-pipe video camera inspection to pinpoint the location and determine the exact nature of the problem. This lets us give you an upfront price after discussing our findings with you. The regular drain cleaning methods used by many local plumbers often don’t completely remove the blockage. Our special hydro jetting will thoroughly remove grease and other build up so that it’s highly unlikely that drain will clog again anytime soon. If you have several drains that are slow or clogged, you probably need sewer cleaning for the line between your building and the street. Our high-pressure hydro-jetting equipment is especially important for these large-diameter lines that can accumulate various types of build up over the years. Our hydro-jetting can even handle fine tree roots, minimizing the need to repair or replace the sewer line. A water leak involves more than just wasted water. It can lead to water damage to counter tops, cabinets, carpets, and room finishes as well as mold problems and even structural damage. Leaks at faucets and fixtures are pretty obvious, but leaks can also be hidden with walls, ceilings, and floors. You may notice moist, moldy, or warm areas. Indications of pipe degradation that can lead to leaks include smelly or discolored water. Or a higher water bill may be your only clue. It really pays to hire leak detection experts like Blue Planet. First, you’ll soon know whether you actually have a leak, or that you can stop worrying. Second you’ll know exactly where the leak is, avoiding unnecessary demolition to track it down and the expensive restoration that follows. Your Rancho Bernardo home is your most valuable investment. The last thing you want is an unlicensed plumber trying to locate a leak manually, which can result in unnecessary damage to your property. 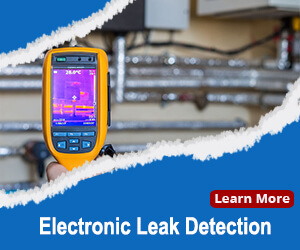 When you call us for a leak detection service in Rancho Bernardo you will get the most qualified technician to perform the electronic leak detection. Our years of training and experience combined with various types of electronic leak detection equipment means that we can go straight to the source of the problem. Hidden beneath carpet or other flooring and under the concrete slab, it’s especially difficult to locate a leak or even know that you need a slab leak repair. Water leaking out under the slab can erode away soil which leads to settling. Cracks in the floor, wall, and even ceiling are indications of a slab leak, and also show just how much damage can occur if ignored. Since slab leak repair usually involves removing flooring and breaking through concrete it’s especially important to first determine exactly where the leak is located. Once we’ve determined that you have a leak and where it is, we’ll discuss your options. These usually include spot repair, re-routing, and pipe lining. Each has their pros and cons, and we’ll discuss them with you and provide complete cost estimates. Even some long-time residents are surprised to discover that Rancho Bernardo isn’t technically a city. Although some 20 miles north of downtown, it’s part of the City of San Diego. The community began as the 1842 Mexican land grant Rancho San Bernardo. Much later, in the 1960s it was incorporated as a master-planned community with private parks and clubs for each neighborhood. The community includes the oldest operating winery in Southern California — Bernardo Winery — founded in 1889 and family owned and operated since 1927. Blue Planet is a different kind of Plumbing Company. With 15 years of experience in the business, we continue to evolve in our craft by combining the very best in energy-conserving technologies and Eco-friendly methods. 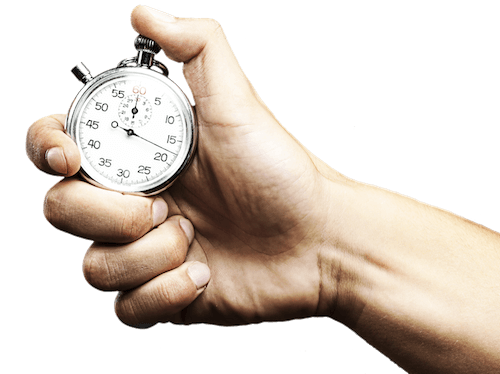 At Blue Planet Drains and Plumbing we understand the importance of timely response and efficient service. 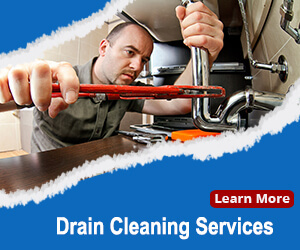 We offer 24/7 residential and commercial plumbing services for all San Diego County. They were the only plumber in Chula Vista, who was able to come right away to my moms house to fix her drain/ plumbing issue. Miguel from Blue Planet Drains & Plumbing has been terrific. He got the job done very fast and I was able to use the online-coupon to save some money on her plumbing bill. I highly recommend Blue Planet Drains & Plumbing! If you are in Chula Vista or any of the other service areas, make sure you hire them! It's worth it. Thanks, Miguel. Plumbers In San Diego © 2016 All Rights Reserved. Design and Marketing by Partners In Local Search.